LOWER PANCAKE PIPE TAKEN FROM A MK4 GOLF ASZ 130 bhp. WILL ALSO FIT BORA / A3 /. IN GOOD USED CONDITION WILL NEED A GOOD CLEAN AND ALL INTACT. VW Transporter T4 Diesel leak off pipes ready cut to size. 4 Diesel leak off pipes for VW Transporter T4 ready cut to size. Condition is New. VW 1.6 TDi. 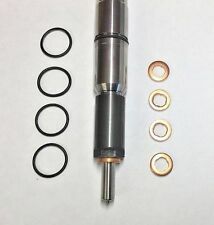 Injector Leak off kit. Kit includes View Our Categories. VW Transporter 2003 - 2010 - with 1.9 TDI engines. VW 7H0 145 708. VW 7H0 145 708H. FIRST LINE FTH1079. FIRST LINE FTH1091. OEM Part Number III.Fit For the Following. Our warranty is valid for max. 035 103 245 A / 035103245A. VW JETTA MK4 1.8T AUQ / AUM 1999-2005. VW GOLF MK4 1.8T AUQ / AUM 1998-2006. VW BORA 1.8T AUQ / AUM 1999-2005. Suitable For 06A 103 221 AF / 06A103221AF. Important Information. FITTED IN VARIOUS VW GROUP MODELS. 01900 WORKINGTON 607042. 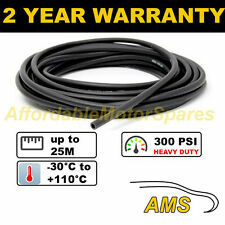 VW Audi 1.9 TDI Turbo Air Intercooler Boost Hose Pipe Lower O/S Right 1K0145832B. Complete Hose with 2X associated o-ring seals. Golf Plus [2005-2009] - Engine BXF & BXE. Golf MK5 [2004-2009] - Engine BKC, BXF, BRU & BXE. Removed from 2005 2.0TFSI AXX Engine. VW PASSAT (3B3, 3B6) 1.9 TDI - BJ. 11/2000 - 05/2005. SKODA SUPERB (3U4) 1.9 TDI - BJ. 2002 - 2008. Suitable For：. hope you can understand. A set of replacement copper/nickel kunifer fuel pipes for VW Golf Gti's please supply your registration number if your car is British or chassis number as there is a change to the system This listing is for a supply and return pipe with a rubber joiner. One pipe has two male fittings the other has one male fitting and a slide on pipe fitting. These systems have also been used on some Mk2's and Scirocco ' s. Please supply your chassis number to confirm. For models with engine code ASZ only! Golf MK4 [2000-2005] - Engine codes ASZ. ASZ [130BHP-96KW]. Bora [2000-2006] - Engine codesASZ. Not to be confused with part number1J0145834T with a longer rubber hose section. VW PASSAT 1.820V & 1.8T20V. AUDI A4 1.820V & 1.8T20V. VW 058 103 213 1. VW 06A 103 247 1. VW 035 103 245 G 1. VW 058103213 1. VW 06A103247 1. VW 035103245G 1. 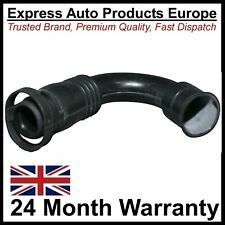 Engine Crankcase Breather Vent Hose Set Fit AUDI A4 A6 VW Passat B5 Superb 1.8T. 06A103213F Engine Crankcase Breather Hose Kit For Audi A4 A6 Skoda Superb 1.8T 06B103213G. Key:06B103213G 06A103213AF 06A103213F Crankcase Breather Hose PCV Valve. 1.6 Petrol 8 Valve 74KW or 75KW (100 or 101 or 102HP). replaces ORIGINAL VW AUDI SEAT SKODA PART numbers. Always check the photo and part numbers match the product you are replacing. 1J0129684CG or 1J0129684Hor 1J0129684T. AUDI A3 1.8T. Fit: VW GOLF MK4 1.8T. 1 x Hose Pipe. OE Part Number: 06A 103 213F. Size:AS THE PIC SHOWN. We will try our best to reduce the risk of the custom duties. This product is installed on the crankcase, in order to keep the internal and external pressure of the machine. For models with engine code ASZ only! Golf MK4 [2000-2005] - Engine codes ASZ. ASZ [130BHP-96KW]. Bora [2000-2006] - Engine codesASZ. Complete Hose with X associated o-ring seals. 12 month warranty. (Donor Vehicle: AUDI A3 8P 2008. 9) our warranty covers the cost of the part, and no other costs incurred. example, labour is not covered. cost of hire car is not covered. Condition/Serviceability: ITEM IS IN GOOD CONDITION. VW Transporter 2003 - 2009 - with 1.9 TDI engines. VW 7H0 145 708. VW 7H0 145 708H. FIRST LINE FTH1079. FIRST LINE FTH1091. Fit for these car models. OEM part number. VW 037103213B. VW 037 103 213 B. GOLF III (1H1) 1.6 74kW 1595ccm 101HP 1995/07->1997/08. GOLF III (1H1) 2.0 85kW 1984ccm 115HP 1991/11->1997/08. GOLF III (1H1) 2.0 Syncro (1HX1) 85kW 1984ccm 115HP 1995/08->1997/08. VW BORA 1.8T AUQ / AUM 1999-2005. 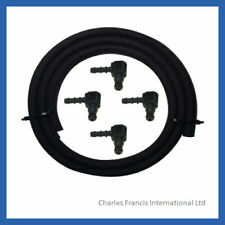 1set x 6pcs- Crankcase Breather Hose Pipe set. VW JETTA MK4 1.8T AUQ / AUM 1999-2005. Audi A3 1.8T AUQ / AUM / ARX / ARY 2001-2003. VW GOLF MK4 1.8T AUQ / AUM 1998-2006. T5 Box (7H) (04/03 - 11/09) AXB 1.9 77 105. T5 Bus (7H) (04/03 - 11/09) AXB 1.9 77 105. T5 Box (7H) (04/03 - 11/09) AXC 1.9 63 86. T5 Bus (7H) (04/03 - 11/09) AXC 1.9 63 86. T5 Box (7H) (04/03 - 11/09) BRR 1.9 62 84. Fits Injector number: 03L130277B / 5Ws40539 / A2C59513554. 4 x Injector Base Washer. Year 2009 onwards. VW MK4 GOLF LEON CUPRA 1.9 GT TDI 150 ARL LOWER INTERCOOLER PANCAKE PIPE. 150 ARL Pancake pipe Aluminium. For vehicles with full front mounted intercoolers. 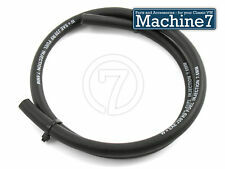 COD 7.3 CODAN SAE J30 R9 Fuel Hose With A Bore of 7.3mm. MADE BY CODAN RUBBER OF DENMARK. SAE J30 R9 Is The Highest SAE Specified Grading Available For Petrol Fuel Lines. This Fuel Hose Has Been Designed For Use With Modern Chemically Aggressive Bio-Ethanol Enriched Petrol Formulations (E5 & E10) As Per Currently Served Petrol Pump Petrol. Caddy III (10-15). Caddy IV (15->). New Beetle (11->). Jetta III (09-10). Jetta IV (10-14). Golf VI (09-13). Golf Plus (09-10). This will fit the following vehicles:-. 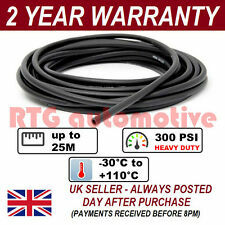 VW Audi 2.0 TDI Turbo Air Intercooler Boost Hose Pipe Lower Left N/S 1K0145834L. Complete Hose with 2X associated o-ring seals. Golf Plus [2007-2009] - Engine BKD & AZV. Golf MK5 [2004-2009] - Engine BKD & AZV. The Ramair Silicone Intake Pipe (part no. RIP-007-BK) has been designed to replace the standard OEM plastic induction hose on the 2.0 TSI EA888 engine in the VW Golf mk7 GTI, VW Golf mk7 R, Audi S3, SEAT Leon Cupra and other MQB platform vehicles. VW 1J0129684H. VW 1J0129684N. 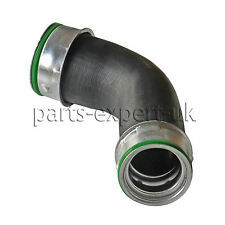 Air Intake Hose Pipe C725 For VW Golf Mk4 Bora Audi A3 1J0129684CG. Golf mk4 1.6. VW 1J0 129 684 H. VW 1J0 129 684 N. VW 1J0 129 684 T. VW 1J0 129 684 W.
This is the valve that fits on the airbox of a mk2 golf or corrado with a Kr Eninge ( 1.8 16v) CIS fuel system fitted. Fully working when removed from car. Replaces ORIGINAL VW AUDI SEAT SKODA PART number. Superior Automotive Grade Hose. Always check the photo and part numbers match the product you are replacing. Part number: 038131521BA. 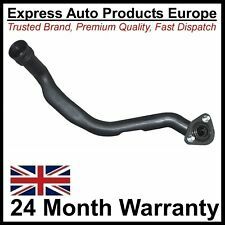 For sale we have VW GOLF MK4 BORA 1.9 PD TDI ARL 150 EGR CONNECTION PIPE. SKODA OCTAVIA (2001-2011) with 1.9 TDIengines ASZ. VW GOLF BORA (2003-2006) with 1.9 TDIengines ASZ. AUDI A3 (2001-2003) with 1.9 TDIengines ASZ. SEAT LEON TOLEDO (2002-2006) with 1.9 TDIengines ASZ. OEM Part Number. THIS SIZE FITS CODAN SAE J30 R9 FUEL HOSE FOR VW APPLICATIONS (5.6mm ID). Made By ABA Of Sweden. ALL Of The Clip Including The Screw Is 304 Grade Stainless Steel. The Clip Is Designed With Rounded Edges So As Not To Chaff Fuel Lines. Citroen - Ford - Jaguar - Peugeot -Renault - Volkswagen. Newly Listed. View Our Categories.